Why? Because most of those who joined Breath of Hope (it’s free) back in May 2018 when I started over with this list, are STILL with me months later. The open rate for the weekly email typically runs between 40-50%, well over the industry average of 18.6. THANK YOU! “Regular” blog posts will begin again next week but I hope you enjoyed the month of giving. At the start of each new month, I plan to have a page on the website that serves as an additional mini “newsletter” of sorts. So, I’ve upgraded monthly F&F (now F&F&F page) page to include some tips and fun holidays as well as links to freebies and helpful featured resources. So going forward it will be Freebies, Features, and Fun. I hope this will be helpful in your quest to excel and exhale! Anytime you are ready to go to the next level with HOPE Unlimited, there are membership options starting at FREE all the way up to $690. We offer more than Virtual Assistance, we also offer strategies and encouragement too. We’re are a source of what you need to thrive and stay in a great frame of mind for work. 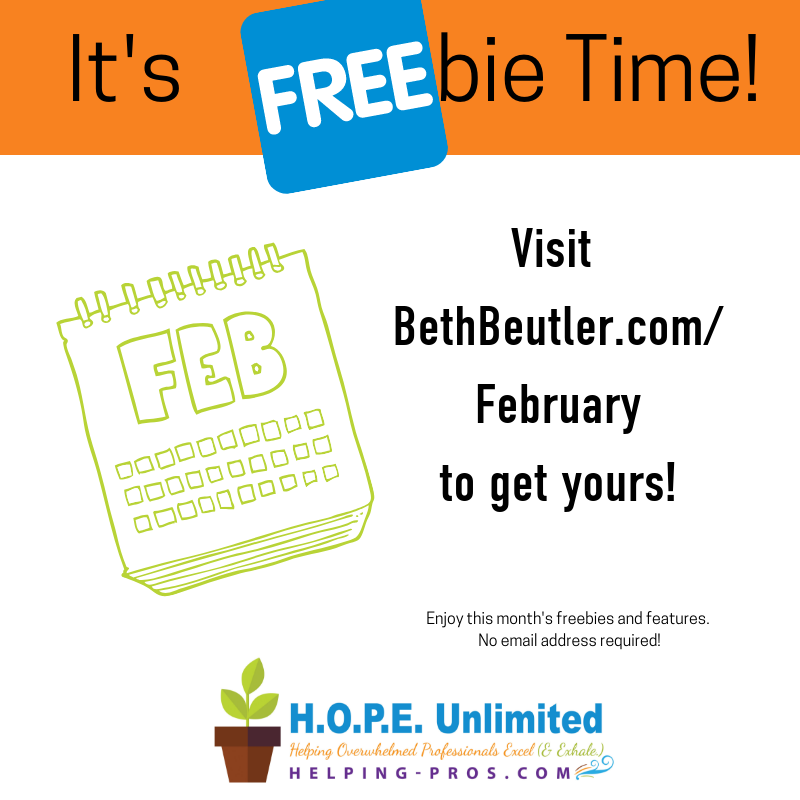 Check out the freebies, features and fun here and have a great February!